OK, hokey blog title. But it's true. You may remember my last interview with Karina Fabian, and my review of her book Magic, Mensa and Mayhem. Today, I’m talking with Karina about her latest book, Neeta Lyffe, Zombie Exterminator. 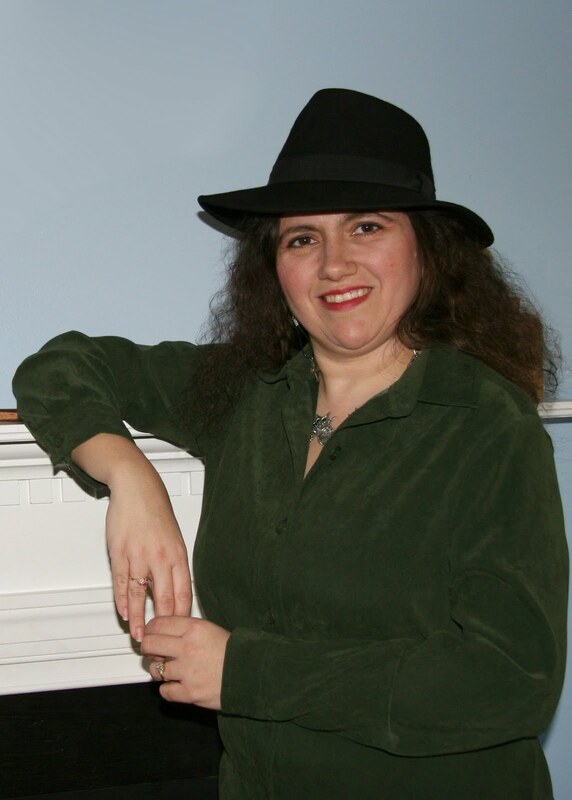 Karina’s got quite the list of Christian and Catholic works: Leaps of Faith (Writers' Café Press) and Infinite Space, Infinite God I and II, not to mention her Catholic dragon detective Vern and his partner Sister Grace, who star in her DragonEye, PI novels and stories. Karina also wrote a devotional with her father, Deacon Steve Lumbert, called Why God Matters: How to Recognize Him in Daily Life. 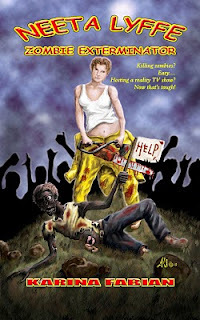 So what is this Christian writer doing writing a novel about zombies and reality TV? For a publisher called Damnation Books, no less! Let's find out. Welcome Karina. Karina: Yeah, I appreciate the irony, and Rob calls my royalties from them "the wages of sin." Kim Richards, the publisher, is a good friend from The Writers Chatroom (www.writerschatroom.com a great place for writers who want to learn the biz'.) 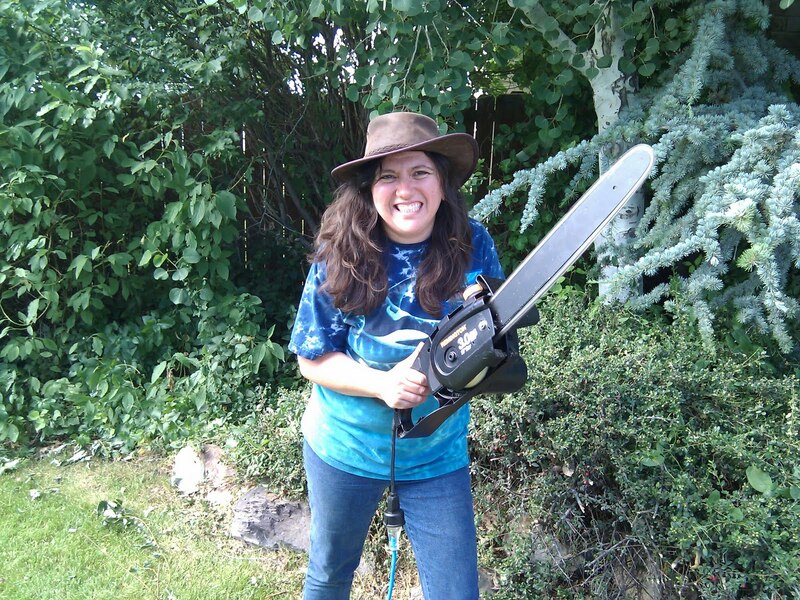 When she decided to start her own horror publishing company, she chose the name. In addition to the dark horror connotations, there's the catchy slogan, "Damnation, that's good reading! "Even more fun is that she bought Eternal Press, so her authors are wondering if we're subject to Eternal Damnation now. Lots of fun in names! Speaking of fun in names, where'd you come up with Neeta Lyffe (Need A Life, for the pun-impaired)? Kim had wanted to publish a small zombie anthology of stories from writers from the Writers Chatroom or those she already knew, and we came up with The Zombie Cookbook (www.zombiecookbook.net). I'd said I'd try, but I couldn't come up with a fun DragonEye story. Turns out Vern has an aversion to zombies. My friend Becca caught me on IM while Rob and I were on househunting vacation and badgered me, so I decided on something kind of noir-ish--a zombie exterminator who couldn't get a date. She really needed a life. Turned out she had a crush on her partner, and after they take on a huge infestation at a Korean restaurant, he asks her out at last. I wrote in first person and whipped it out in 2 hours, giggling the whole time. "Wokking Dead" was published in The Zombie Cookbook, and people had such fun with Neeta that a couple asked about her having a novel. Kim badgered me a couple of times, and one day on the Writers Chatroom, we got to talking reality TV, and I had the silliest idea--Neeta training up exterminators on a reality TV show that was The Apprentice crossed with Survivor crossed with Zombieland. So you’re a fan of reality TV and Zombieland? Haven't seen Zombieland yet. I don’t watch reality TV, either, except for a few episodes of Chase that Rob and the kids liked because it was kind of like living Terminator. I keep meaning to watch it, though. Truth to tell, I'm not into horror or zombie movies. I think the last horror flick I saw was Friday the 13th, Part Innumerable, which a friend talked me into going to see with her. I've read maybe a handful of horror novels; after an anthology of Stephen King's stuff in college, I swore off. So why go for a horror novel then? It's comedic horror. High on humor, some grossness, no heart-thumping terror. I love playing all the clichés, and mixing them up. One zombie with his legs chopped off is still hobbling after his prey shouting, "Flesh wound!" Neeta commandeers a Hummer and runs down zombies--the disk player is blasting ABBA. There are conspiracy theories, environmentalists (though Global Cooling is the crisis du jour). Of course, there's the whole Hollywood aspect. I was giggling for months. You're known well among Christian spec-fic circles. What kind of Christian values are in this book? That's a tough one. There's nothing overt. It's definitely not Catholic, as Neeta chops off the head of a guy who's infected because that's worse than the alternative. One contestant is actively gay--or is he just not particular? Roscoe never even told me. He was the most fun to write, though. Incidentally, he says "Oh, Gawd!" all the time, but the one time he was thanking God, he says, "Thank God." But the zombies are simply reanimated meat with instincts and some "residual cultural influences." Their souls are gone. Neeta tells her boyfriend she's waiting for marriage (and she does). Except for some mild innuendo (thanks, Roscoe) and a little swearing and drinking, it's a clean book. Definitely mainstream, though. So why did you write it? Because I was asked and because it was fun. I got to exercise my sarcastic side, have some fun with political and social trends, and come up with a really unique zombie story. I don’t write stories with intentional "messages," anyway. It's just a rollicking ride through the absurdities of reality and reality TV--and even the after-reality of zombie-ism. "Hell's Kitchen" with heart. Pretty much sums it up :). Neeta's got to whip her students into shape, so they can learn to slice and dice zombies. She's not the heartless terror that Chef What's-his-name is, but she can't afford to be soft when dealing with the undead. I laughed SO hard while reading Neeta Lyffe. But humor is not Karina's only strong point. The book has an actual plot and real characterization--two things that often lack in parody and humor writing. I became a fan of Karina's writing with the first Dragon Eye, P.I. short story, and then a bigger fan after reading Magic, Mensa, and Mayhem. 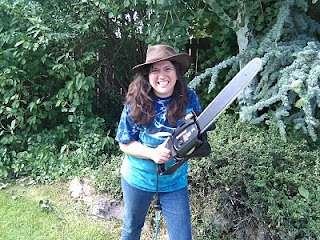 She did not disappoint me with Neeta Lyffe, Zombie Exterminator. You can also purchase directly through Damnation Books. Visit the site to see the trailer and read an excerpt. Oh, excellent interview and the book sounds like a hoot. This is the second good review I've read. I have seen Zombieland and I'm this close to buying the Zombie version of Pride and Prejudice. Guess I'm gonna have to check this book out. Thanks for hosting me, Kat. I'm so glad you enjoyed the book.